Busch minced, dyed foam. Easy to apply and suitable for creating a 3dimensional effect when applied up buildings etc. Great for adding depth and variety to Busch scenic mats when applied over the top of them (use Busch 7000 spray glue to fix them in place). 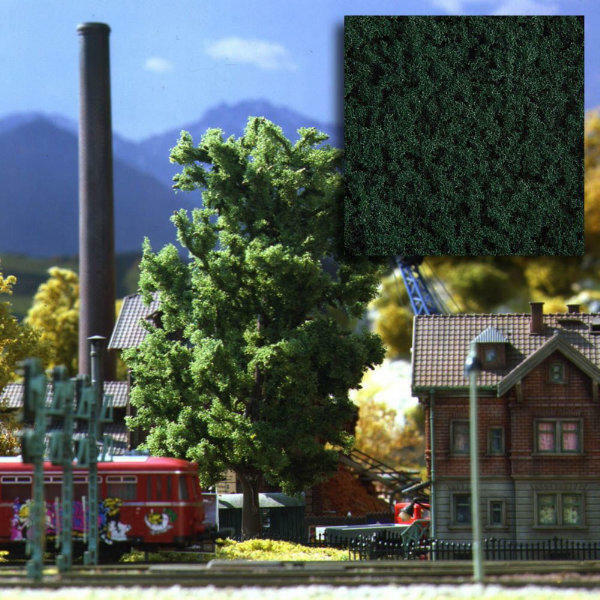 Foliage can be used for trees, bushes, weeds, vines etc.